Apple has a last-ditch effort when you’ve lost it all, but it’s not guaranteed. 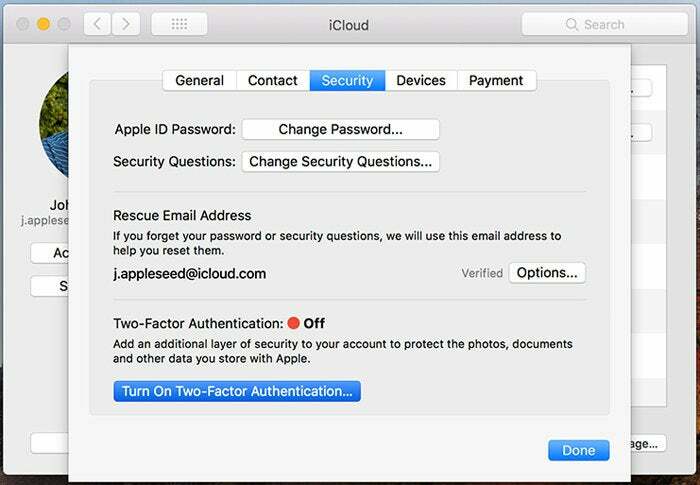 Two-factor authentication (2FA) is highly recommend with your Apple ID, especially for iCloud or iTunes and App Store purchases, there’s one drawback: you need access to a second factor, or you might wind up losing everything associated with your account. Normally, this shouldn’t be a problem. The second factor for Apple’s system is always at least one Mac or one iOS device plus a phone number (one that receives either text messages or voice calls, so a landline is an option). It would seem an unlikely scenario in which you lost all of that at once. I need to get into my iCloud account to access photos, notes, contacts, etc. but had two-factor authentication enabled. I’m being prompted to enter the code when I login online but the phone lines have been switched, so I don’t have access to the 2FA code on iPhone. He may be in a pickle, although having the password to his account should help. Apple offers a semi-automated account-recovery process that hinges on how much information you can provide. The more information, the faster the process goes. Human beings are involved to make it difficult or impossible to automate the recovery for malicious ends, but Apple also may decide it can’t verify your identity well enough, even if you own the account, to give you access back.